Blackout roller shades are a type of window treatment that is grossly underused in many parts of the world, especially given the benefits that they offer. 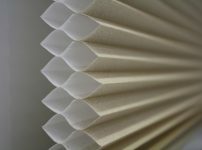 In addition to offering exceptionally excellent functional benefits, the use of these window treatments has also been noted to be aesthetically pleasing as well. You will end up with a unique décor far from the ordinary. What are Blackout Roller Shades? Blackout roller shades are a type of shades that are primarily made out of fabrics that are tightly woven. As a result, it means that light cannot penetrate them, just like solar shades. When drawn, they will prevent all the light from the outside from getting into the room. The fabric used to make them is usually in multiple layers to increase the chances of preventing incoming light from reaching the room. It has been estimated that they can block out more than 90% of light coming from the outside, despite being made out of woven fabric rather than a solid material. Where are Blackout Roller Shades Most Commonly Used? 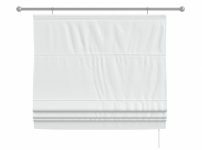 These roller shades are ideal for rooms that require little light. Some of these include bedrooms, media rooms and family rooms. By getting rid of all the light from the outside, it ensures that the rooms perform their functions as expected. In the setting of a bedroom, for instance, getting rid of all light from the outside even at night means that you can easily get uninterrupted by incoming light from artificial sources. The use of blackout roller shades in media rooms prevents glare due to too much light, and this makes the experience of using the rooms much better. You may therefore not need to invest in other antiglare screens or other gear to prevent this. By preventing too much light from reaching your room, the blackout roller shades increase the energy efficiency of your home. It will take much less energy to cool the home since most of the radiation will be captured by the shades before they get to the home. You may find that you don’t need to use your air conditioner as much as before after installing the blackout roller shades. Blackout roller shades are also excellent at absorbing noise from the outside. This muffling will make your house more comfortable. In areas such as the bedroom, this is particularly helpful since it means that you can sleep peacefully even if there is some noise and artificial light outside. The presence of the blackout roller shades prevents both of these from getting to you. Ready to Order Custom Blackout Roller Shades Today? As you can see, blackout roller shades are an excellent type of window treatment. If you are interested in using them for a new home construction or you can simply want to update your current window treatments, talk to us at Vogue Window Fashion today to learn more.